The global pharmaceutical industry reached unprecedented heights in 2018, being estimated at an astounding $1.11 trillion. By 2020, this figure is set to rise to $1.43 trillion. With rising pressure to develop drugs to meet ever increasing global demand, pharmaceutical companies continue to work tirelessly to bring the most innovative and cutting-edge treatments to patients. Being a research-driven industry, approximately $150 billion is spent by pharmaceutical companies every year on research and development projects. Out of thousands of compounds, only a small percentage gain regulatory approval to be used by patients to treat disease and improve quality of life. However, in 2018, a record number of novel drugs developed by pharmaceutical companies across the globe were approved by various regulatory bodies. A large proportion were approved by the US regulatory body, the FDA, which approved 55 novel drugs and smashed its record for generic approvals (781 up from 763 in 2017). Although the USA’s market share of the global pharmaceutical industry is worth over $341.1 billion, the Chinese, South East Asian, Eastern European and South American markets are beginning to emerge. For example, the Chinese market is rich with preclinical and early-phase drugs, and is a growing nucleus of biotech activity. The next few years will see global growth thanks to the increasing wealth worldwide, as well as increasing demand to maintain high levels of innovation to combat unmet medical need. A new entry into the top 10 pharma list is Bristol-Myers Squibb, a leading American pharmaceutical company headquartered in New York City. BMS specialises in four key therapy areas: oncology, cardiovascular, immunoscience and fibrosis. The company's strong growth in 2018 can be in part attributed to continued success of leading drugs Opdivo (cancer) and Eliquis (a blood thinner). 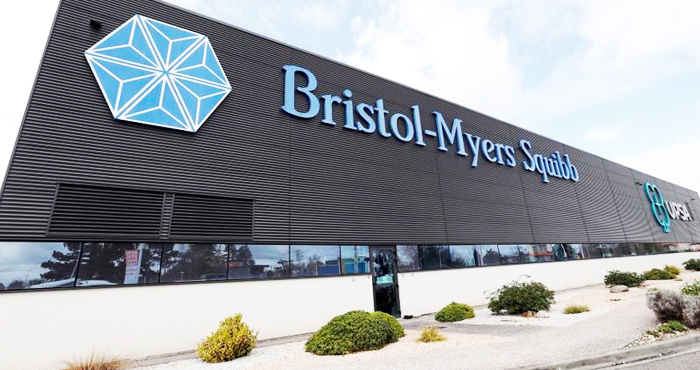 BMS' success is likely to be further boosted following the company's planned acquisiton of Celgene - an innovative oncology biotech - in early 2019. This strategic acquisition will help position BMS as a leading biopharma player thanks to Celgene's robust pipeline. A staple candidate in the top 10 pharma list year on year, GlaxoSmithKline (GSK) is a leading British pharmaceutical company that always boasts a strong pipeline of innovative drugs. The company specialises in a broad range of therapy areas but is particularly successful in the fields of HIV/AIDS, respiratory and vaccines. The company enjoyed 2% revenue growth compared with 2017 figures, with sales being boosted by GSK’s best-selling HIV drugs Trivicay and Triumeq, the Ellipta inhaler for asthma and COPD and Nucala, another successful asthma treatment. Last year GSK saw the key approval of Shingrix, developed to treat the shingles virus, which was very successful in 2018 as expected, with sales reaching £784 million. In general, growth was slightly offset by steep generic competition in 2018 for various GSK drugs like Seretide, Epizixom and Avodart. Amgen is an American biopharmaceutical company headquartered in California that specialises in developing novel human therapeutics, with a focus on cardiovascular disease, oncology, bone health, neuroscience, nephrology, and inflammation. The company is steadily becoming a permanent fixture on this top 10 list. This change is in part due to the success of various Amgen products, including Repatha (72% increase yoy), BLINCYTO® (31% increase yoy) and Prolia® (16% increase yoy). In early 2019, Amgen was voted one of Fortune Magazine’s Most Admired Companies in the pharmaceutical industry and was listed number 5 on Fast Company's 2019 Most Innovative companies. Research-driven American biopharma AbbVie has maintained its position on this list, with an impressive increase of 16.2% compared with 2017 pharma revenue statisitcs. AbbVie has recently announced that upadacitinib, one of their most anticipated drugs in development that will be used to treat moderate to severe atopic dermatitis, has been granted breakthrough therapy designation by the FDA. This is just one of the many promising pipelined drugs in AbbVie’s varied portfolio which spans multiple therapy areas, including dermatology, oncology, neurology and gastroenterology. Boosting revenue is AbbVie’s top selling drugs Humira, the current bestselling drug in the world and Imbruvica, one of today’s leading cancer drugs. One of the leading pharmaceutical companies in Switzerland, Novartis comfortably makes the top 10 pharma list for 2019. The company focuses on a wide range of disease areas including oncology, immunology/dermatology, neuroscience and respiratory. The company's revenue grew by 5.8% compared with 2017 figures despite a few top selling drugs facing generic competition in major markets, such as as oncology success Gleevec, and blood pressure drugs Diovan and Exforge. To combat these losses, Novartis spent 18% of their overall 2017 revenue on research & development in 2018. Currently, Novartis' best selling drugs are Gilenya, for multiple sclerosis, and Lucentis, for patients suffering from eye-degenerative diseases. American pharmaceutical company Merck takes a spot as one of the top 5 pharmaceutical companies in the world in 2018. Merck is known as MSD outside of North America. The company develops drugs, vaccines and biologics in many areas including cardiovascular, oncology, endocrinology and infectious disease. The company saw an impressive 12.2% revenue growth since 2017 with sales boosted by the continued success of Merck’s bestselling drugs: cancer immunotherapy Keytruda, HPV vaccine Gardasil and diabetes pill Januvia. 4th on the top 10 pharma list is French pharmaceutical company, Sanofi. The company saw 7.1%% revenue growth within its pharmaceutical sector, which contributes a substantial percentage of the company’s total revenue. Over 25% of this revenue came from Sanofi’s three best selling drugs, Lantus, an insulin injection for diabetes, Lovenox, an anticoagulant to prevent blood clots, and Aubagio, the one-daily pill to treat a form of multiple sclerosis. In the top 3 pharmaceutical companies in the world is Johnson & Johnson, a company that was established over 130 years ago and has become a staple household name thanks to popular consumer goods like Aveeno, Neutrogena and Listerine. The notable 12.1% growth can be in part attributed to its acquisition of biopharmaceutical company Actelion in 2017, which contributed a 3.4% increase in 2018 thanks to its pulmonary arterial hypertension portfolio. Other drivers of growth included best-selling drugs Stelara, Darzalex and Zytiga. Swiss pharmaceutical company, Roche, is the 2nd biggest pharmaceutical company in the world for 2019, and employs 94,442 people worldwide. The company develops innovative drugs and devices in a number of key indications, such as oncology, immunology, infectious diseases and neuroscience. Annual growth from the pharmaceutical segment was 2.7% and revenue from the top 3 products contributed over 40% of Roche’s total revenue in 2018 ($57.2 bn). Roche’s best-selling drugs also happen to be in the world’s top cancer drugs: Herceptin, Avastin and Rituxan. Roche's CEO, Severan Schwan reported that new medicines in accounted for 90% of the company's growth in 2018, particularly the launch of Ocrevus, said to be the most successful in Roche's history. The world’s largest pharmaceutical company is multinational pharma giant Pfizer, headquartered in Connecticut, USA. The research-based company has a varied portfolio that spans many therapy areas, including immunology, oncology, neurosciences and rare diseases. Despite modest revenue growth, Pfizer had a very successful year in 2018. The company received several FDA approvals, particularly in oncology, and many of its best-selling products have many years of patent protection remaining. There was particular growth with some of Pfizer’s key products, including Ibrance, Eliquis and Xeljanz. 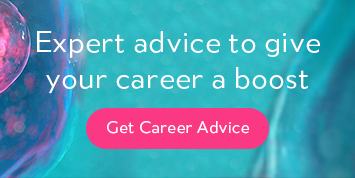 ProClinical is a specialist recruitment company operating exclusively in the life science industry. Every day we have new job opportunities arising at top 10 pharmaceutical companies across the globe. Simply upload your CV to start getting matched with pharmaceutical jobs at leading companies that could transform your career.